Indie legends SUEDE headline the Pallet stage on Friday night. Saturday is topped by legendary British rock band THE CULT. Sunday is closed by E Street Band founder member and Soprano’s actor, Stevie Van Zandt’s LITTLE STEVEN & THE DISCIPLES OF SOUL; the only UK festival performance on their Summer Of Sorcery World Tour. They are joined on the Pallet stage by a first class roster of acts, including newly reformed 90s indie icons DOVES, Birmingham’s EDITORS, WILDHEARTS, STEEL PULSE, REEF, and many more! Recent additions to the bill include two titans of the festival reggae scene, DREADZONE, and EASY STAR ALL-STARS – who will perform their iconic album Dub Side Of The Moon in full. SISTER BLISS will DJ a very special FAITHLESS SET; hotly tipped Yorkshire rockers, The Sherlocks, and zany glam rock legends Doctor & The Medics will also bring their high octane live shows to the stunning grounds of Derbyshire’s Catton Hall. Bearded Theory’s breathtakingly beautiful Woodland stage is headlined on Friday by punk legends STIFF LITTLE FINGERS, and on Saturday by Scottish indie-rockers IDLEWILD. Jamaica’s premier ska band THE SKATALITES will close proceedings on Sunday night. Alongside a smorgasbord of delights across our smaller stages Maui Waui, Rogues Hideout, Magical Sounds, One Big Showcase, Convoy Cabaret, Alpaca Lounge and Something Else Tea Tent, our brand new area Pen and Parchment will showcase comedy, spoken word, band interviews, magicians and talks from the festival’s chosen 2019 charities. The innovative and award-winning Bearded Theory school returns for its fourth year, once again delivering an exciting and educational day for enrolled students, with all sessions supported by special educational needs (SEN) professionals. Subjects will complement the national curriculum. In 2019, for the first time children will include lunch, allowing parents to use the time to enjoy the festival without the sleeve pulling and demands for sweets! Bearded Theory’s huge Children’s area provides a massive range of free activities for all ages. These include The Children’s Village and Village Green daytime activities, an evening parade, and a beautiful campfire. Our huge teen-only Rogues Hideout includes DJ, band and art workshops and a chill space. The Bearded Kids tent offers a large craft area with craft sessions, and The Baby Boo care tent has all the essentials if you forget anything. 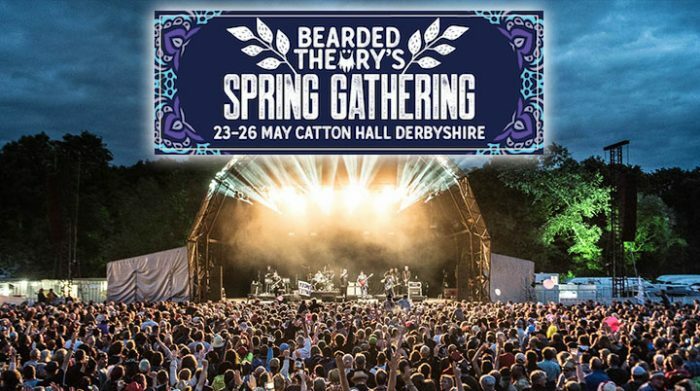 Held in the stunning surroundings of Catton Hall on the Derbyshire / Leicestershire border, Bearded Theory’s Spring Gathering will return in 2019 for its 12th successive year, once again taking place over the late May Bank Holiday weekend. 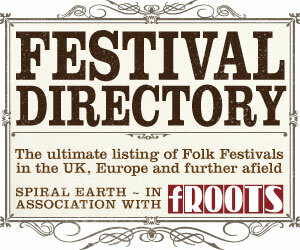 Having started life as a birthday party in the garden of a Pub in Derbyshire, Bearded Theory has evolved to become one of the UK’s best-loved and critically acclaimed festivals, winning major awards including: ‘Best Small Festival’, ‘Best Promoter’ and ‘Best Family Festival’ at the UK Festival Awards; and ‘Best UK Independent Festival’ at the AIM Music Awards.